Kimberly-Clark (NYSE:KMB) is scheduled to announce its fiscal fourth quarter results on Tuesday, January 23. The company has had a mixed fiscal 2017 so far, as its earnings per share came in ahead of market expectations but revenue missed in the first three quarters. In fact, the company has struggled to generate meaningful revenue growth of late and, consequently, cut its guidance for 2017 following mixed fiscal Q3 earnings. In the first nine months of 2017, the company’s net sales remained about flat at $13.7 billion, primarily due to flat organic sales, as a 1% year-over-year (y-o-y) decline in net selling prices was offset by a 1% y-o-y increase in volumes. The company witnessed weakness in the Personal Care business and Consumer Tissues, while the KC Professional segment grew at 1% y-o-y during this period. In addition, Kimberly-Clark reported net earnings of $4.66 per share, up 2% y-o-y, benefiting from FORCE cost savings of $355 million during the period. Kimberly Clark’s EPS has grown from $4.80 in 2011 to $6.03 in 2016, despite the company’s revenue falling by over $1 billion during this period. In fact, a similar trend has been observed in the first three quarters of 2017. The company has been able to sustain its EPS growth largely due to its successful cost-saving initiatives. However, bottom line growth without top-line expansion is unlikely to be sustainable in the long term. Going forward, the company’s gross margin could reach a saturation point with only cost savings initiatives supporting it. Accordingly, Kimberly-Clark would need to do grow its top line going forward by competing on innovation, marketing, and volumes with other players in the market. It should also be noted that the company raised its dividend by 5.4% in 2017, which was its 45th consecutive year of increases. In order to sustain this dividend growth, it is also important for the company’s earnings to follow a sustainable growth pattern. Kimberly-Clark is heavily reliant on the North American market, which accounts for over 50% of sales and 70% of its profits. However, the company has been seeing some category softness, lower promotional shipments, and higher competitive activity in the geography from established players such as Procter & Gamble (NYSE: PG). The increasing level of competition in this already-saturated market could push prices lower in the near term. Kimberly Clark has lost nearly 3 percentage points of share in both markets since 2010, per our estimates, largely due to competition from the likes of P&G. In the first nine months of 2017, Kimberly-Clark’s North American net sales fell 1% y-o-y, primarily due to a sluggish recovery in U.S. spending accompanied by weak demand. The Absolute Consumer Demand Index of America has been falling since September of 2016, and its effects have weighed on the results of consumer companies. For the full-year 2017, Kimberly-Clark continues to expect its organic sales to be similar or slightly up from the prior forecast of 1% to 2% growth. 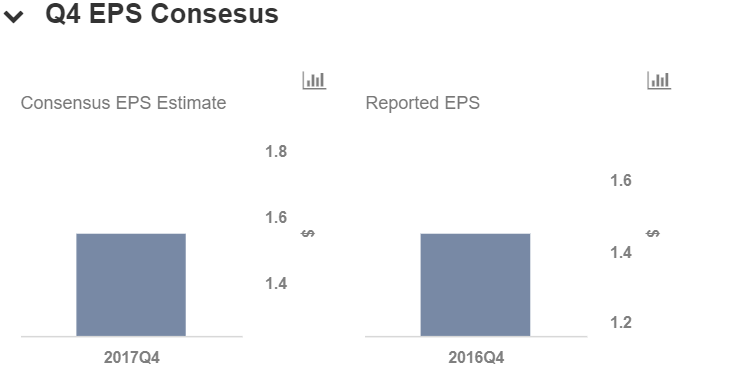 In terms of the bottom line, the company expects its earnings per share to be at the low end of the target range of $6.20 to $6.35. This lower guidance is driven by weaker-than-expected organic sales in the first nine months of 2017 along with cost inflation. The company also expects its full-year spending to be slightly below its $850 million to $950 million target range. In addition, the company expects its full-year dividends and share repurchases to total $2.3 billion. 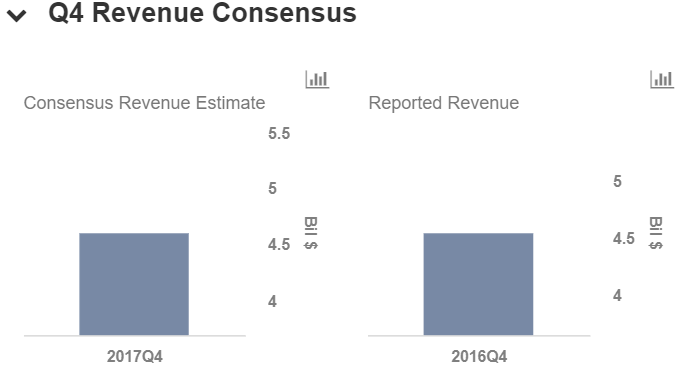 In Q4, Reuters’ compiled analyst estimates forecast revenues of $4.6 billion and earnings of $1.55 per share, implying growth of about 1% and 7%, respectively. 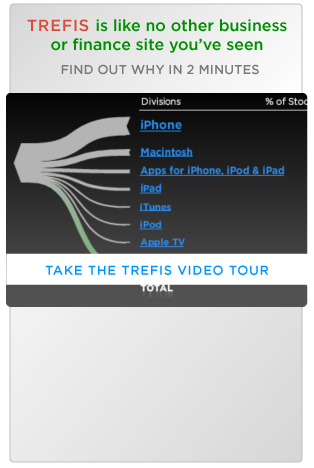 The charts below have been made using the Trefis Interactive Dashboard. You can modify our forecasts for the company’s revenues and key drivers to see how changes would impact its earnings and valuation.